Wood Construction Stands up to Repeated Use! 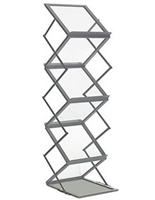 Space-Saving Style Stores Tons of Material! 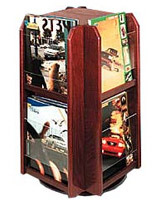 Display Catalogs & Brochures with Convertible Pockets! 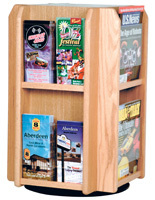 This wooden pamphlet holder for a desktop is an efficient way to dispense promotional material. 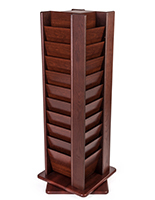 This oak brochure spinner boasts a warm finish that looks great in any office or retail setting. 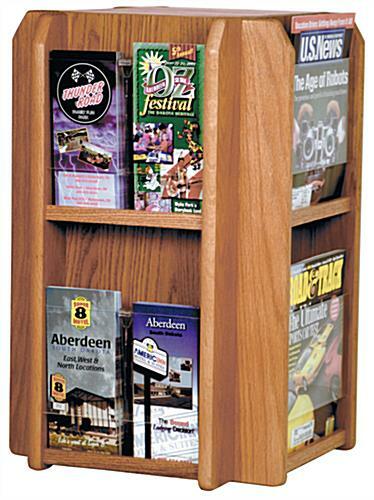 This wooden pamphlet holder, also known as a publications display, can be customized to store (8) sets of newsletters or (16) sets of trifolds! 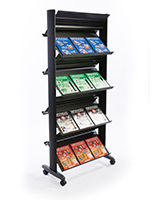 Bulk purchases ensure lower pricing on these already affordable items! 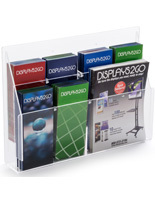 These wooden pamphlet holders, like advertising racks with clear acrylic panels, encourage prospective clients to “take one” without effort, due to the rotating stand.